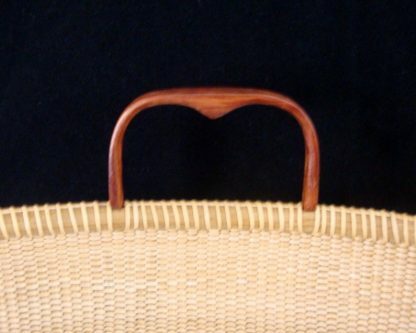 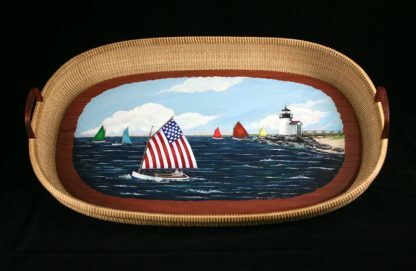 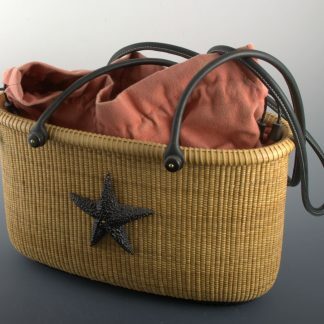 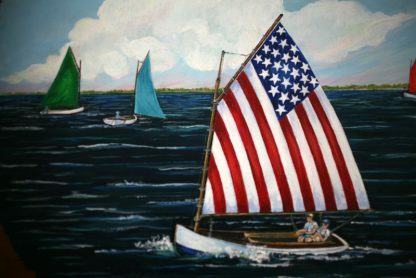 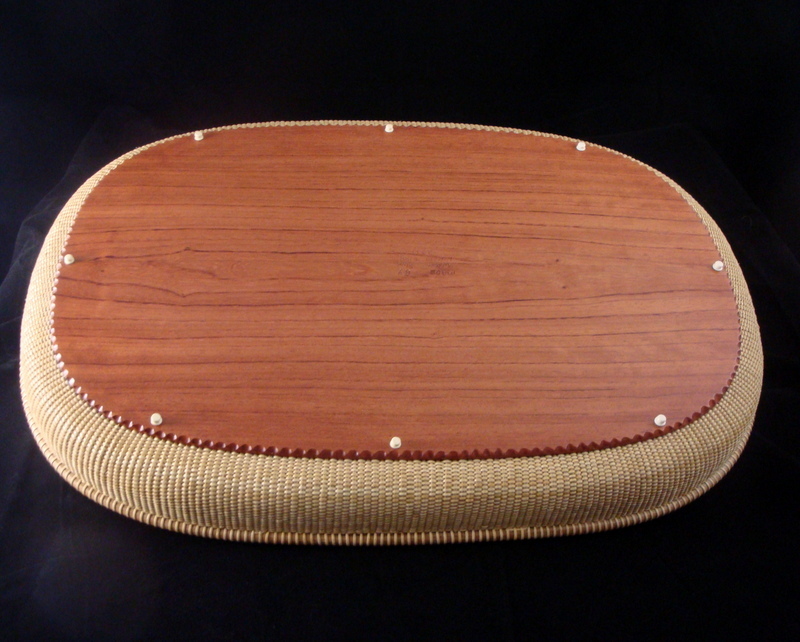 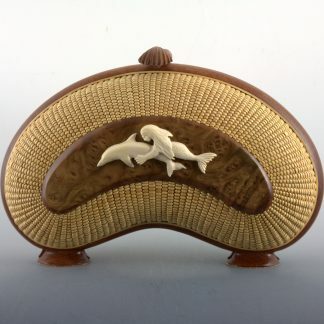 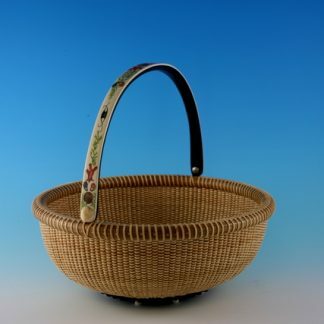 This 24″ oval tray Nantucket Lightship Basket is made by William Kane, the only 3rd generation basket maker on Nantucket. 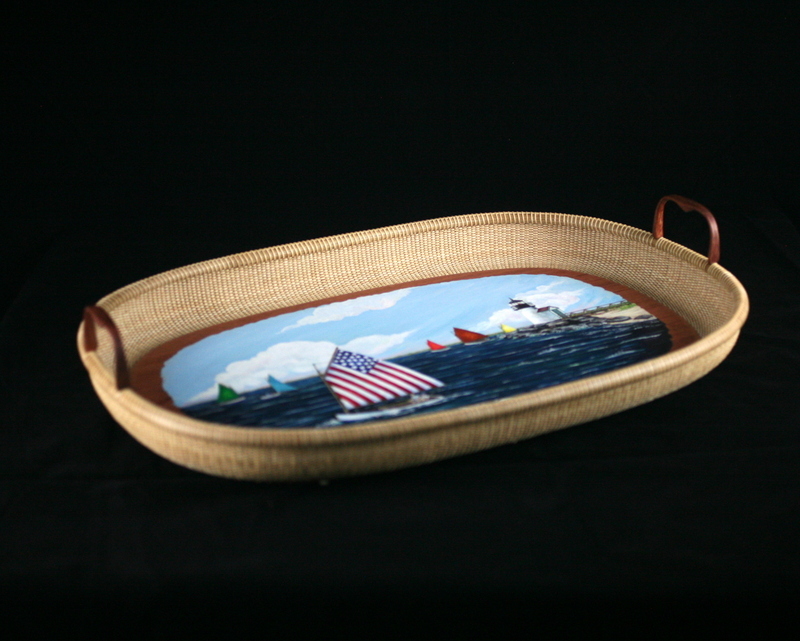 The tray has bubinga bottom and handles. 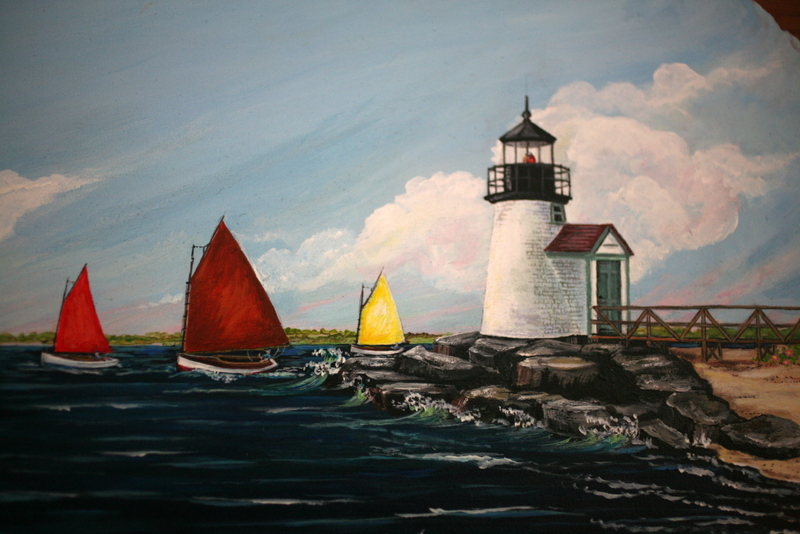 The center is hand painted with a beautiful rainbow fleet at Brant Point by Dorothy V. O’Hara . 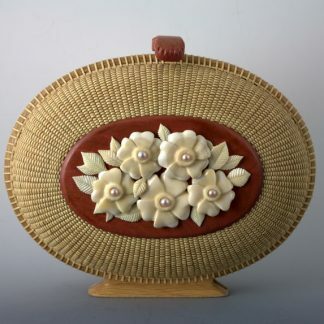 This is a one of kind piece and is a must have for any collection! !